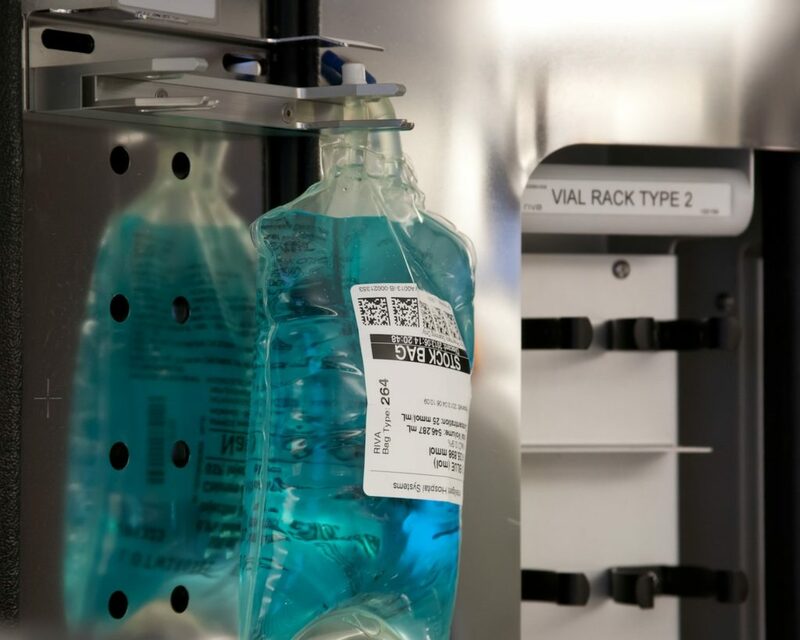 R+D Custom Automation has been awarded a contract to design, manufacture, and install an IV Bag Labeling System in a ISO 5 environment for a customer in the Pharmaceutical & Life Sciences Industry. The cell we designed adds drug to a [saline] filled bag and applies a label to the bag. The challenge in applying labels to a filled bag required us to integrate vision guided robotics. We used Cognex vision to determine the location of the bag on a conveyor and then sent the coordinates to a Clean Room 6-Axis Fanuc Robot for accurate label placement. We utilize the robot end of arm tooling to apply the label and ensure adhesion. Accepted bags are then laid onto an offload conveyor by a second 6-Axis Fanuc Robot.